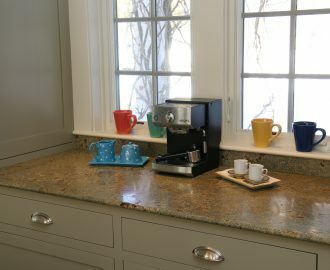 During the process of designing your kitchen, you will undoubtedly be asked to select an edge profile for your countertops. While a seemingly minute detail, your edge profile choice can uphold the vision you have for your kitchen or completely counteract it. What are your options? The list is lengthy (you can even create a custom edge profile), but let’s concentrate on the most common edges. The eased edge profile has a slightly softened top, keeping the edge free of much detailing. It is popular for many reasons, but perhaps the single most contributing factor to its popularity is its economic value. The most economic edge profile, eased is the go-to selection for anyone on a budget. Another benefit of the eased edge profile is its simplistic design. Whether you desire an overall streamlined kitchen or are looking to let other design features take center stage, an eased edge is the front-runner. The sleek profile is complementary to Arts & Crafts, Art Deco, and Contemporary decor styles. Similar to the eased edge is the 1/4″ radius. Both have a softened top, with only the radius of the edge varying. The eased edge has a 1/8″ radius, which is slightly smaller than the 1/4″ radius edge. 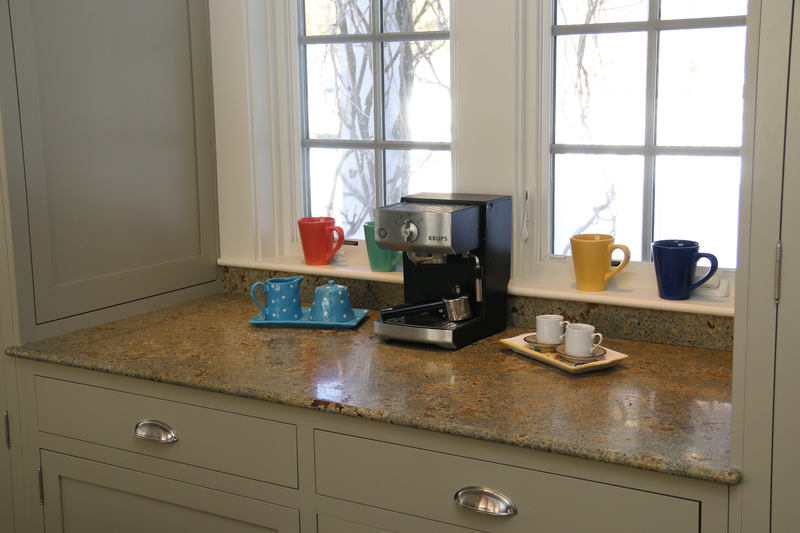 With its rounded top and bottom, the full bullnose edge profile softens the overall appearance of your countertops. You also have the option of a half bullnose or demi bullnose, which are rounded on the top and left squared on the bottom. The later, while softened, still looks appropriate in a more contemporary kitchen. 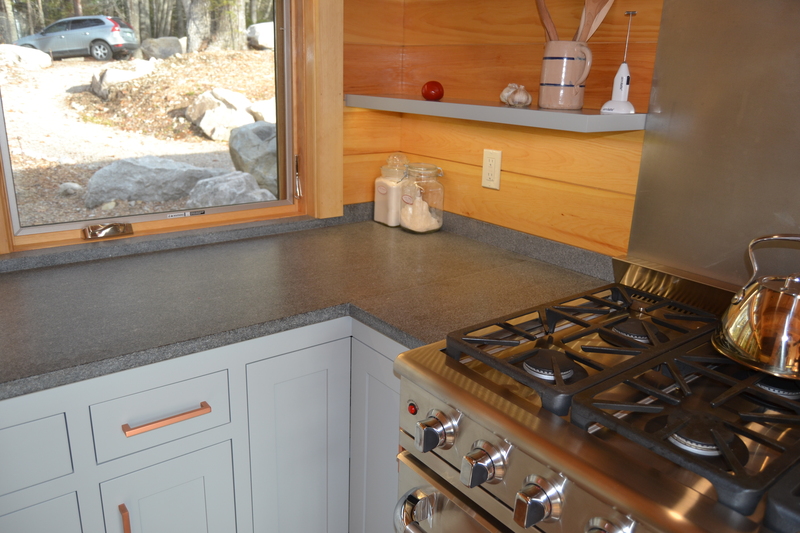 The full bullnose edge compliments a traditional or country style kitchen. One consideration when choosing the full bullnose edge is the amount of cleaning you want to do on the front of you cabinets. Due to the edge being rounded on both the top and bottom, liquids are more likely to roll off the countertop and down the front your cabinets. If you do not have frequent spills or if you do not mind cleaning your cabinets from time-to-time, the full bullnose edge will be a good choice for you. The ogee edge profile is characterized by its “S” shaped curve – a concave arch that meets a convex arch. 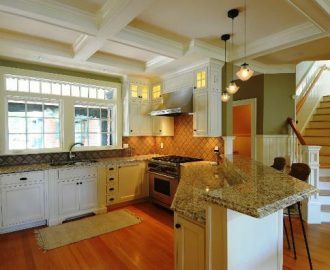 With the ogee’s sophisticated edge profile, it pairs well with classic/traditional and Victorian style kitchens, which utilize more intricate and ornate detailing. There are multiple variations of the ogee edge, including double ogee (or cove ogee) and the ogee-bullnose. While each edge keeps the general shape of the standard ogee, certain aspects are accentuated in each. Some complex edge profiles are comprised of grooves that often make cleaning difficult. The ogee’s design, though detailed, allows for easy cleaning and care. A 90° angle adjoining a convex arch creates the ornate dupont edge profile. 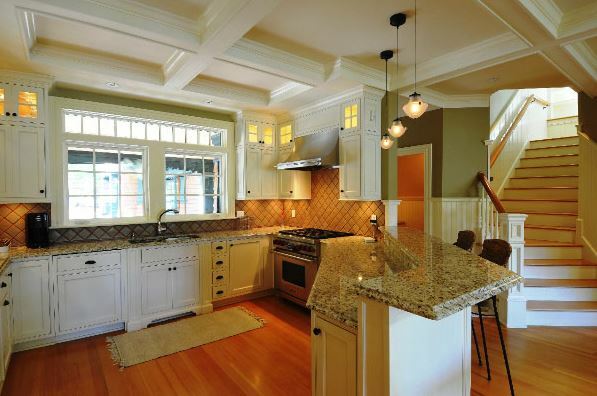 The dupont is fitting in a French, Mediterranean, or classic/traditional kitchens. 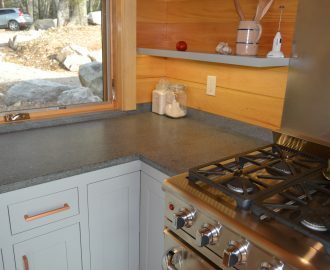 As the top of the edge is not softened, keeping the crisp 90° angle, the dupont can be uncomfortable to those who find themselves leaning on their countertops. If this is not something that you regularly do, the dupont is an excellent choice. you desire an overall streamlined kitchen or are looking to let other design features take center stage, an eased edge is the front-runner. The sleek profile is complementary to Arts & Crafts, Art Deco, and Contemporary decor styles.